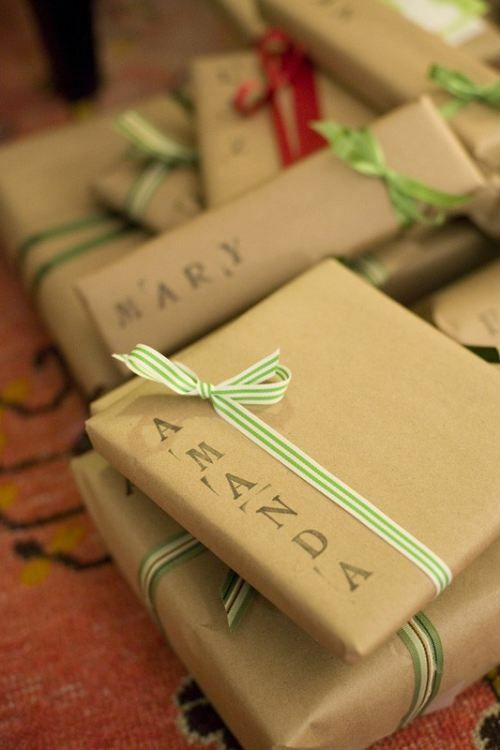 Here are a couple of cute and simple Christmas gift wrapping ideas. I hope you enjoy these, and check the links for more ideas! I love the stamped names on these packages! Simple yet so easy to see where they go Christmas morning! This is another simple idea – add color by using a small amount of Christmas wrapping and then stamped initial for the recipient! Very cute! 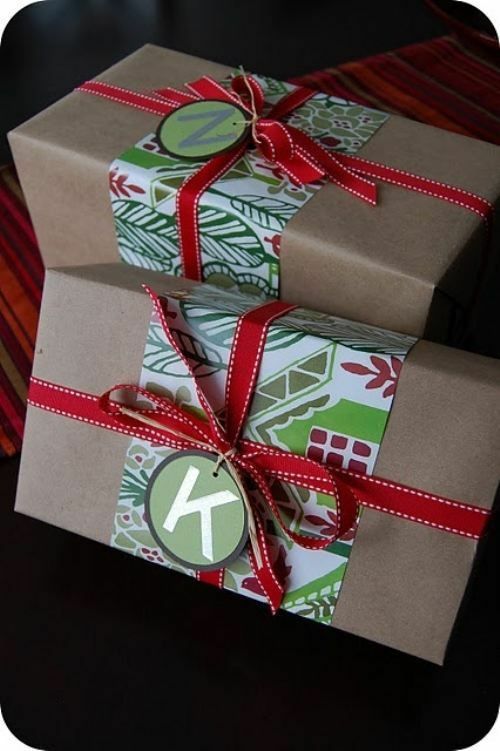 I would love to see your gift wrapping ideas!